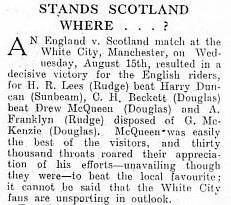 who (allegedly) had a Scottish parent or grandparent. 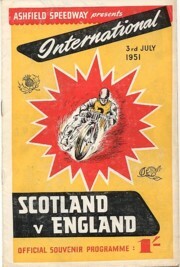 However, between 1973 and 1982 (excluding 1978) Scotland was represented by a true home-grown team. 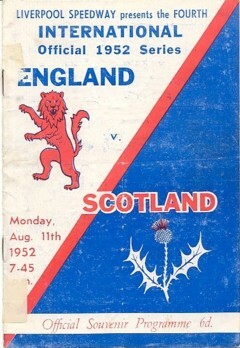 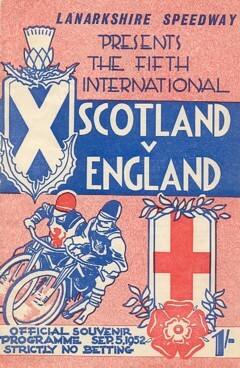 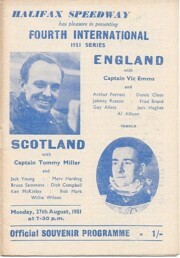 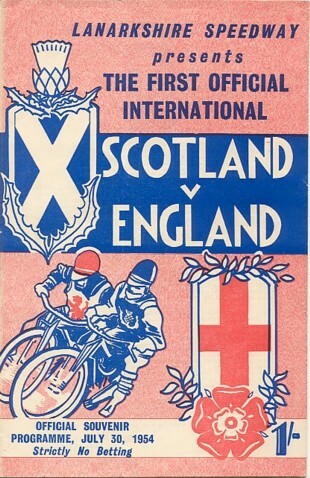 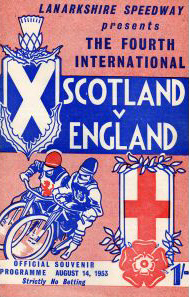 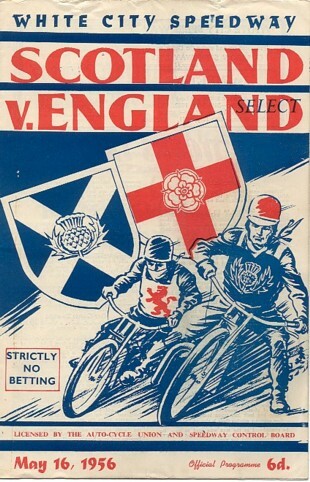 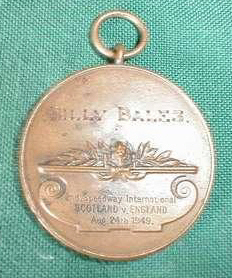 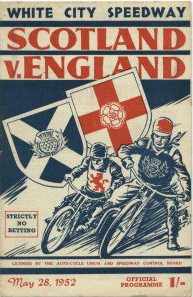 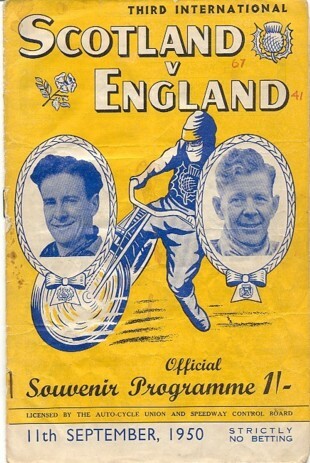 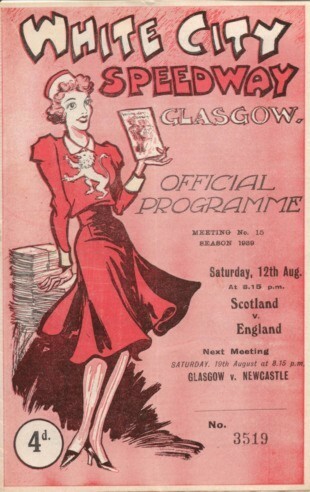 In 1972 and 1978, the team rode as Scotland Select, though details of these matches are included here. 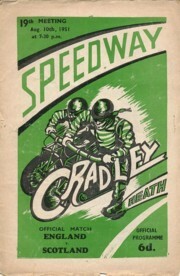 reality this was definitely a club match, and reported as such in Auto magazine. 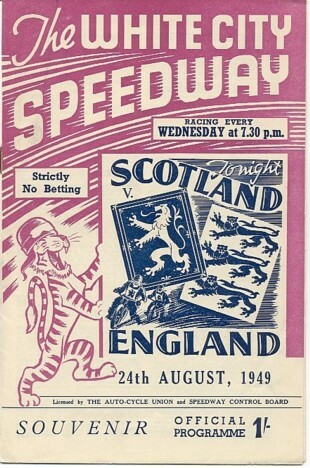 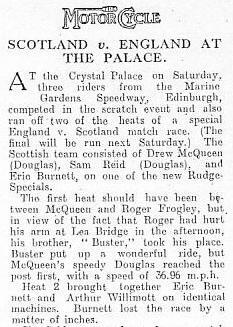 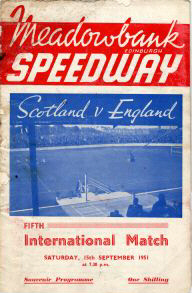 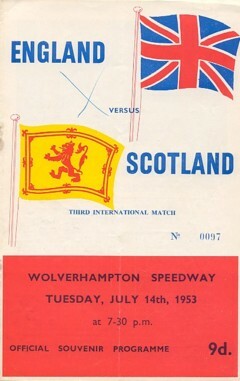 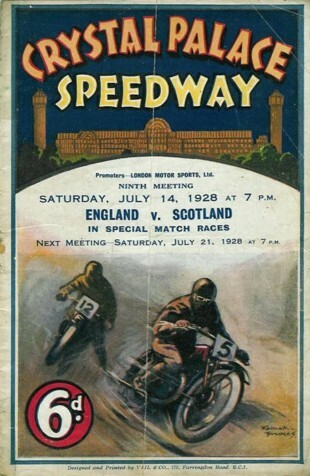 Scotland team included Drew McQueen ©, who scored a 9 pt maximum despite never having seen the Leeds track before, George McKenzie, Lawrence "Scot" Michie, and Len Stewart. 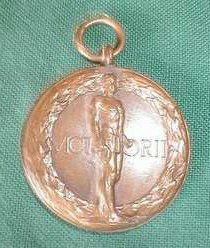 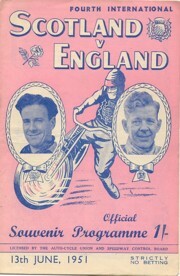 The England team included Ivor Creek ©, George Greenwood, Eric Langton, and Jack Ormston. 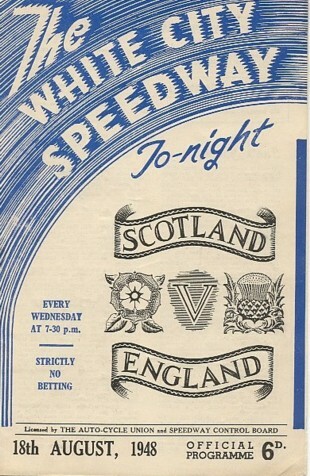 Scottish Silver Gauntlet 1: Curtis, Wells, Garland, Stobbart. 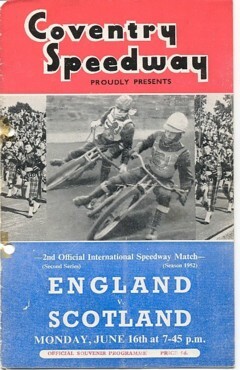 2: Pepper, Lowther, Jack Chapman, Bateman. 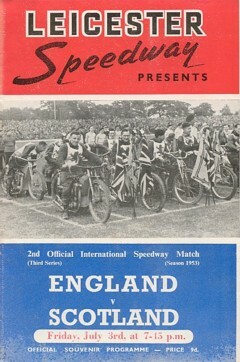 3: Greenwood, Jackson, Hay, Elwood Stillwell. 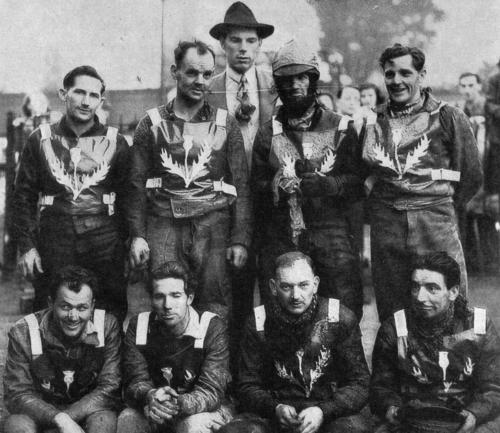 4: Joe Crowther, Hart, Fred Belliveau, Bravery. 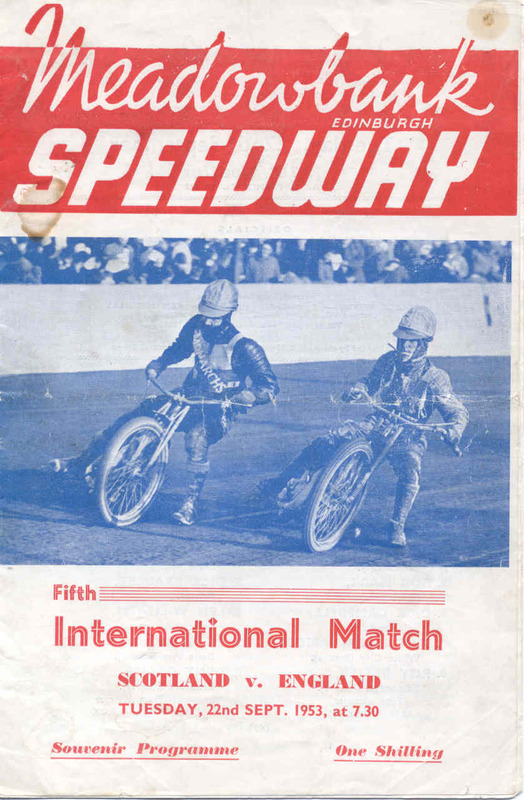 FINAL: Greenwood, Pepper, Crowther, Curtis. 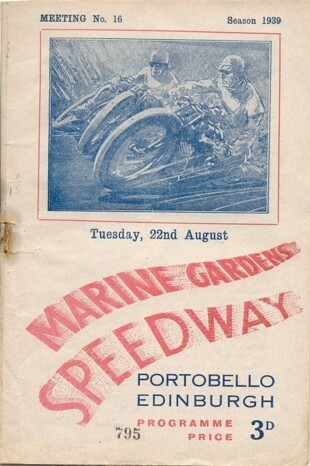 Match Race : Crowther, Chapman, Belliveau, Stillwell. 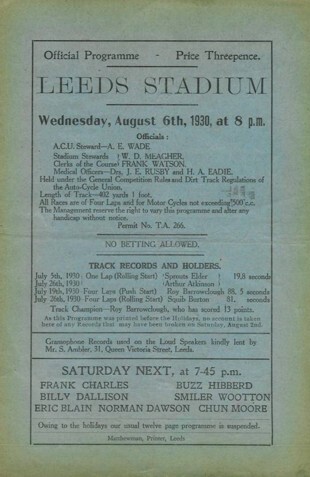 Reserves Race : Lungo, Butler, Hyland, Littlewood. 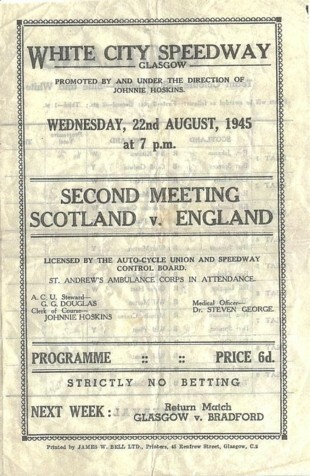 5 Jack Chapman 2' 0 0 - 2 + 1 "Scottish" squad. 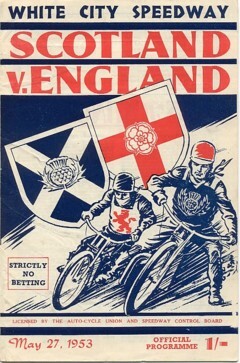 res Reg Hay 0 1 1 the home team.